WHAT’S SO SPECIAL ABOUT VAL D’ISÈRE? If by now you have any doubt about which is the world’s best ski resort, you obviously haven’t been paying attention! Admittedly, the idea of there being a ‘world’s best’ is extremely suspect. No-one would ever describe a seaside resort as the world’s best, be it St. Tropez, San Francisco or St. Ives. But we skiers are all looking for more or less the same things, and unless you actually hanker after a tiny village somewhere with one lift and a single bar full of yokels, Val d’Isère will tick most of your boxes. It has something for everyone, and more of most things for most skiers and boarders than anywhere else. This high-altitude village probably gets more snow and keeps it longer than any other area in the Alps. 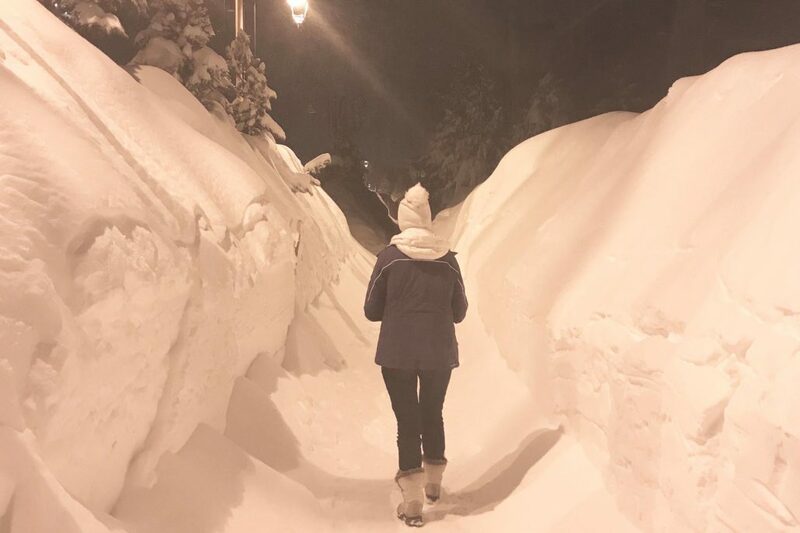 Last winter was the snowiest in Europe for at least 40 years, and even resorts that can normally only open for a few weeks had a good season, but Val d’Isère was still the place to be, from November to June (see left). 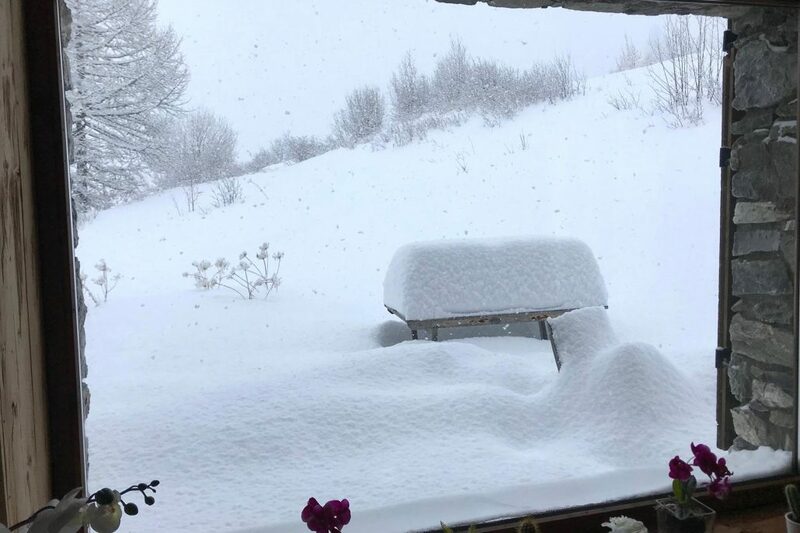 It is not marketing hype to say that Val d’Isère receives more than its fair share of snow. The Atlantic westerlies drop vast quantities here because of the altitude, but there are also the unique ‘retours d’est’, where winds from Italy dump up to a metre at a time just over the French border. Val d’Isère, particularly its eastern side above Le Fornet, receives much of it. About 9m fell in Val d’Isère village last winter, and a lot more on the slopes. Val d’Isère’s glacier and 650+ snow cannons (with, equally importantly, two healthy rivers to supply them) pretty much guarantee the best skiing in the Alps in December. And by March and April the combination of almost unmatched natural snow and record artificial snow means there is nowhere in the Alps with such good conditions. This June the road services couldn’t clear the road to the glacier in time for the start of the summer 2018 skiing. No matter, we just skied on Bellevarde, where the snow was still excellent, until 13 June, and then moved up to the glacier until 13 July! So Val d’Isère’s snow conditions are invariably among the best in Europe, but one often hears that its slopes are also the most exciting. Can pistes be better in one place than another? Well, Val d’Isère has the great good fortune to be in a narrow, steep-sided valley, between rather convex mountains. Not many skiers are nerdy enough to wonder why one valley gives more exciting skiing than another, but if you are you’ll have noticed that the first lifts rise steeply from the village, giving a lot of challenging skiing right on one’s doorstep. Further up, the less steep slopes give fantastic long, easy green and blue runs high in the mountain sunshine for beginners and intermediates. The pistes are longer and wider than usual, are beautifully groomed every night (by Ratraks using GPS, radar and winches), and are nearly all on the north sides of the mountains, so they are among the last in Europe to be affected by the spring sun. They are hugely varied, and radiate outwards from the mountain tops, so for much of the time one is unaware of other pistes. 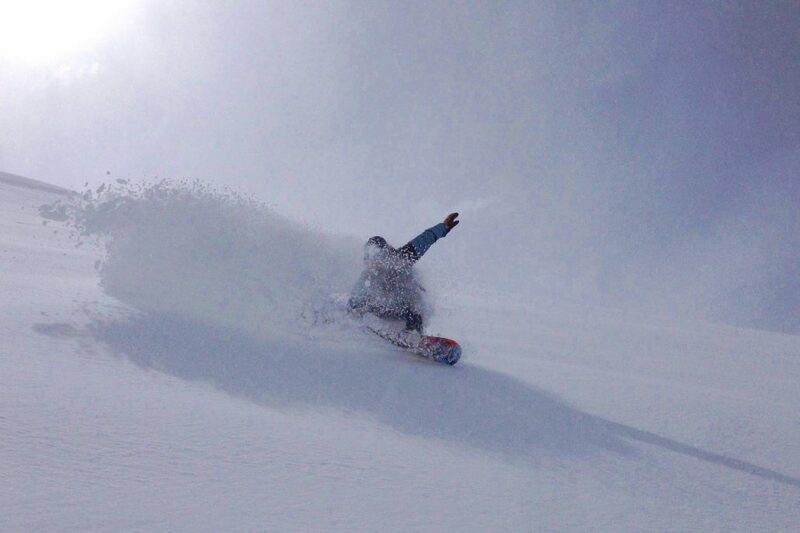 Snowboarders find an extraordinary range of slopes with deep snow without the mandatory sack-race shuffle to reach it. There is also a wide nursery slope at the foot of the mountain with free lifts for beginners’ first days on skis. Following the extensive changes to the top of Solaise, there are now nursery slopes up there too. Beginners can buy a special discounted ski pass to access these higher nursery slopes – please see the Ski Pass page for full details. Finally, there’s a brilliant snow park with everything from little ramps for one’s first six inches of big air to huge jumps where the dudes have time for multiple spins, flips and trouser-retrievals. 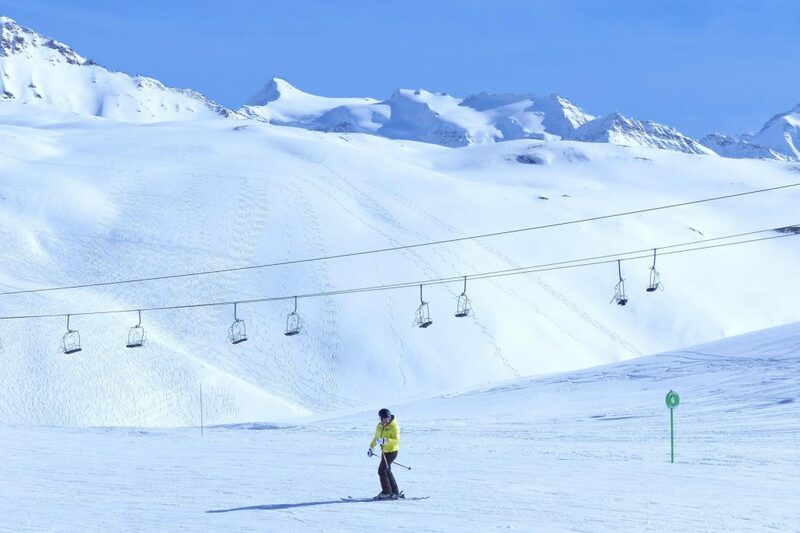 Many people say that Val d’Isère and Tignes have the best off-piste skiing in the world. 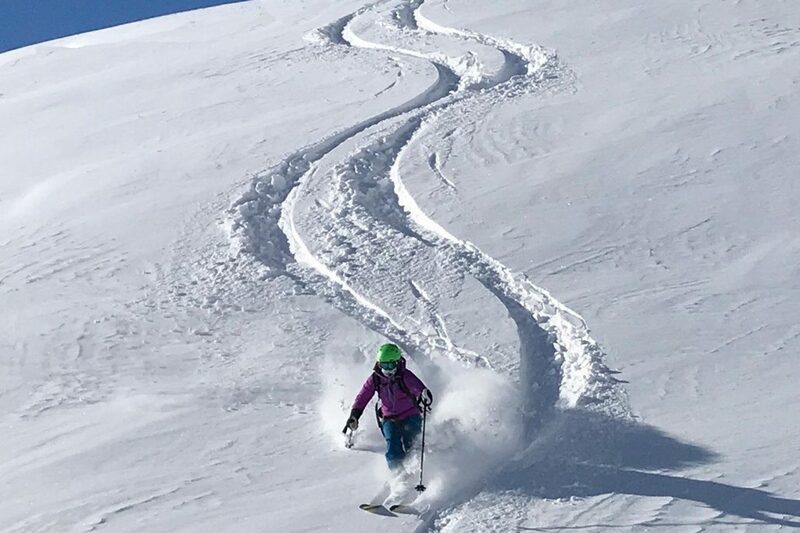 There are other contenders – Chamonix or the Rockies, for instance – but it’s certain that nowhere else has as much lift-served high-altitude off-piste, or as many schools and individual guides helping people get the best of it. 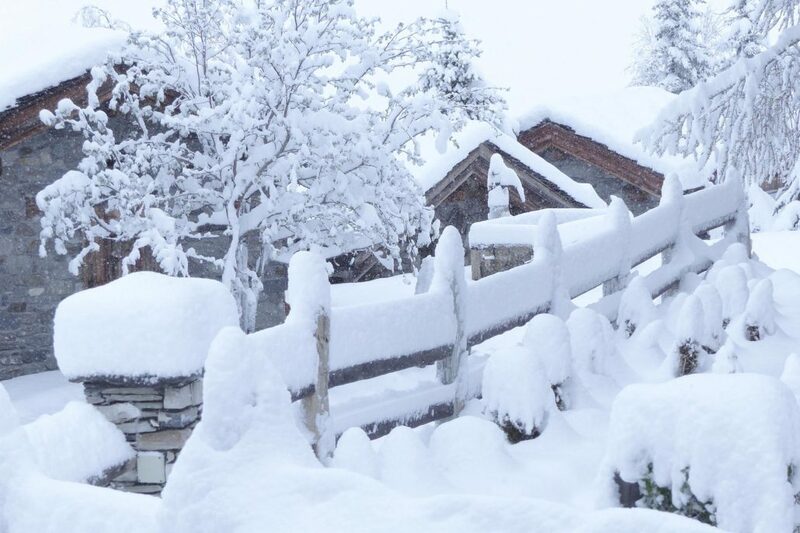 And of course Val d’Isère’s exceptional snow record helps. Everyone agrees that the Val d’Isère and Tignes ski area has one of the world’s best lift systems. Its lifts carry up to 161,000 people per hour. There are two underground funiculars, and we are told that the Funival is still the world’s fastest ski lift. Queues are short and move quickly, and on these fast, steep lifts a five-minute ride up can give a twenty-minute ski back down. In so many places it is the other way around. The lifts mesh really cleverly together, so that there are almost no bottlenecks, and there are always alternatives. For Winter 2018-19, the gondola and chairlift from La Daille are giving way to a brilliant new ten-seater bubble, designed by Pininfarina, which will whisk more people, faster and in greater comfort, to the mid-station above Tommeuses (near the famous Fruitière and infamous Folie Douce). Val d’Isère’s first and biggest ski school, the ESF, is the oldest in France, while Top Ski was the first ski school to challenge the ESF’s monopoly. 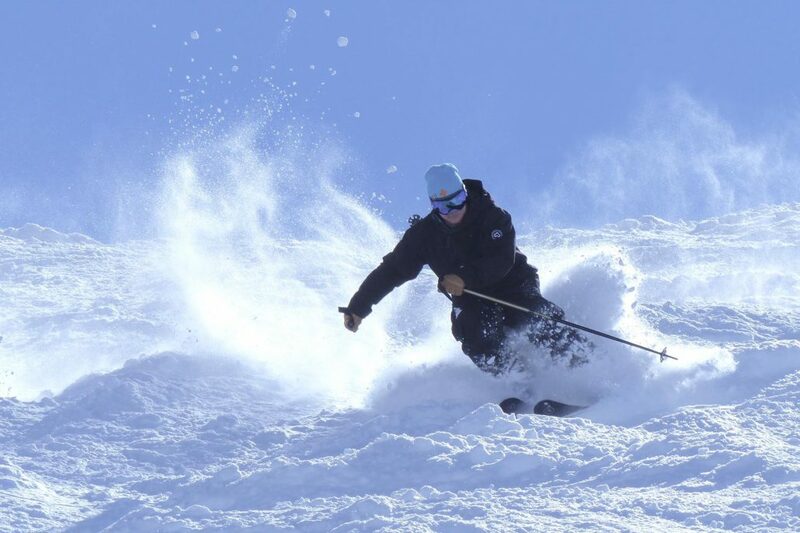 So Val d’Isère is used to innovating, improving and perfecting the noble art of ski instruction. Among the ESF’s 380 instructors are some of the best in France, while smaller ski schools (Evolution 2 or Oxygène) offer similar courses with more supervision, others specialise in off-piste guiding (Alpine Experience, Top Ski, iSki, the Compagnie des Guides, Le Grand Ski) and still others give intensive instruction in English to small groups (Mountain Masters, The Development Centre, Progression, New Generation, BASS etc). 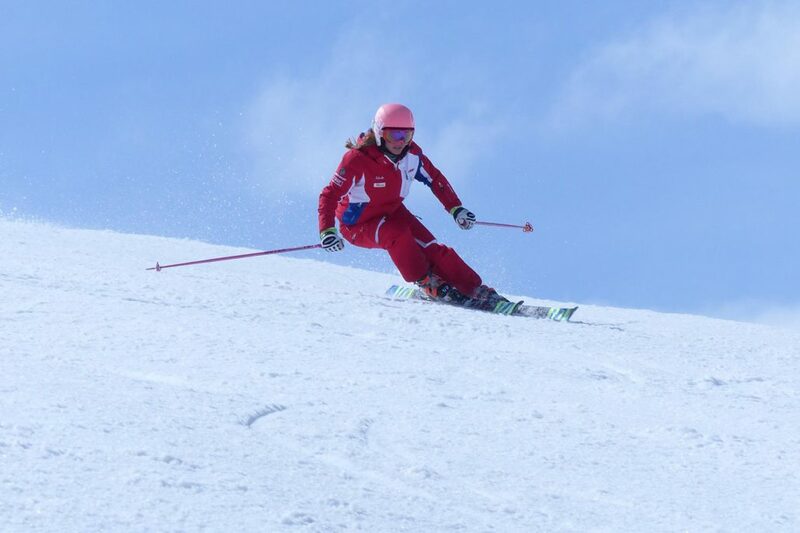 Most of Britain’s young ski instructors train in Val d’Isère, and their coaches and examiners work for these schools. France may specialise in huge ski areas around ugly 1960s villages, but Val d’Isère is an exception: the church dates back to the eleventh century, the village centre is picturesque, the 1960s monstrosities are not too obvious and are slowly disappearing, and the architecture of the last twenty years has led the field in the use of granite, wood and traditional forms for modern chalets. Trees have replaced parked cars on the main street, and wooden signs have replaced neon. The village has an unexpected buzz to it – warm, welcoming and rather un-French! We think it has something to do with the fact that everyone who lives in Val d’Isère or comes here loves skiing. As with most other things, the range and choice of places to eat in Val d’Isère is extraordinary. A restaurant with two Michelin stars where the tasting menu lasts four hours, but which also does two-course lunches for 25€. Hotels whose largely Parisian clientèle demand world-class food at surprisingly reasonable prices. Traditional local fondues and raclettes. Meat on braziers or hot stones. Tajines and falafels. Restaurants in cow sheds. Burger joints. Crêperies. Takeaway pizzas. Sandwicheries! And the same applies on the slopes. There are several mountain restaurants considered among the best in Europe – the Signal and l’Edelweiss, for example – yet there are places where you’d pay less for lunch than at King’s Cross Station! It comes as a surprise to keen skiers, but many people come to Val d’Isère more for its nightlife than its slopes. Après starts in ski boots at the throbbing Folie Douce or Cocorico, with live music, gogos and table-dancing. Then it moves to a series of after-dinner clubs and bars, and ends up in a selection of night clubs which close as some of us are eating breakfast before heading off skiing! Val d’Isère is quite a young resort on the whole, so the nightlife is relatively inexpensive. If, after reading all that, you have any doubt about which is the world’s best ski resort, you still weren’t paying attention! !